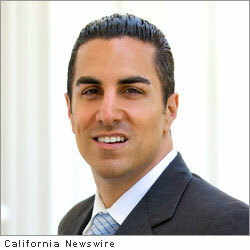 SACRAMENTO, Calif. /California Newswire/ — Calif. Assemblyman Mike Gatto’s (D-Los Angeles) Assembly Bill (AB) 1616, the California Homemade Food Act, was signed into law today. The California Homemade Food Act legalizes the sale of homemade, “non-potentially hazardous” foods by creating a two-tier system of “cottage food operations” based upon the point of sale. Having captured the imagination of food lovers in California and beyond, AB 1616 was among the most anticipated bills to be considered by the Governor this year. The California Homemade Food Act is consistent with similar laws of at least 33 other states, none of which have reported a food-borne illness from non-potentially hazardous foods. The legislation contains numerous provisions that will ensure cottage food operations remain small-scale, neighborhood-based activities that respect the importance of public health. More than 6,000 people throughout the state, as well as small and large business, non-profit, and interest organizations such as the Lost Angeles Bread Bakers, the Sustainable Economies Law Center, Whole Foods Market Northern California, the California State Grange and the City of Los Angeles, expressed support to the Governor.